Amy Ford: I oversee the running of the library, the facility itself, um, um, our staff here, um, both are or a programming collection librarians and our circulation assistance. And so what we do is reach out to the community, make sure that we have materials and resources that the community wants and needs and make sure that they have programs and other events that they’re interested in and that serve our community needs as a whole, as much as we can. We try to help solve problems with other organizations in our community as much as our mission contributes to that. Price Kinsey: All right, excellent. Thank you. Let’s move on to the next one. So what has been your experience with book censorship? Amy Ford: Um, as branch manager, sometimes those, um, will, will come to me. Uh, sometimes customers will be taken aback or distressed or by something that they, that they might read or view one of our, one of our, um, materials and uh, most of the time what we will do is just, you know, talk together and talk together with our customers, um, you know, getting understanding of what it is that they are concerned about and what, why the, you know, why the concern if there’s a desire on their part to review the material in a more formal way, we’ll, we’ll do that. We’ll review the material, um, and judge it against our selection policy and see how it can see how it fits and respond to the customer if they, um, are interested in doing a more sort of formal consideration of a particular item that we have. Price Kinsey: Nice. Thank you. And, uh, I, you mentioned your selection policy. Could you briefly describe that? Amy Ford: Certainly, and that and that follows along, um, a lot of the guidelines of the American Library Association, which is our professional organization as Librarians and um, so we select things widely that are going to be of interest to the community, um, of interest in the news. Um, we make sure to represent multiple points of view because that’s important in a community as diverse as ours of course. Um, we look for things that have, um, reviews that are, um, timely, um, are accurate, uh, and that and again that, um, uh, you know, have, have, attributes that make them make them suitable for our, for our collection. But again, we will make sure that we represent a wide number of use because we want to make sure that people have things that they want to read, um, but also have the opportunity to be exposed to something different. Price Kinsey: And I would imagine with an age range of 8-80 every kind of book imaginable. Amy Ford: Exactly. And actually our, our, our, um, our age range starts at birth. We, we start with baby story time. Um on up through the entire spectrum of ages. We serve everyone in our community. Price Kinsey: Excellent. Tank you that is so important. Um, so how do you feel about books censorship in general? Amy Ford: Um, in, in general, um, you know, I’m a librarian of course, so, um, you know, in my professional ethics, um, book censorship is, is not, you know, what we, what we’re looking for, we’re looking to be able to offer multiple points of view, um, so that, um, people can consider things from every side of an issue. Um, being able to, uh, look at arguments, read them, evaluate them and judge them against other, uh, works of fiction or nonfiction and to have people be able to evaluate and analyze those for themselves. Um, that’s something that I, that I feel is very important and um censorship takes away from that ability for the individual to choose on his or her own. Price Kinsey: Would you say that censorship takes away part of the discussion or debate on any particular topic? Amy Ford: Well sometimes it can actually use and it can actually be, you know, bring up a debate. Um, you know, where, where someone is concerned about a particular that could be in books or movies, um, or you know, any other kinds of resources that the library provides, ah, and so there’s an opportunity there to have a community conversation, something that’s on a, on a larger level so that people can talk together about what, what’s, you know, what’s important in our community, what’s a current issue, how can we see from different sides of this. And you’ll see this, um, kind of community conversation. Um in libraries everywhere. We recently had a, I’m actually a hot topics in, um, community issues forum not that long ago, I guess in January, um, where people are able to come in and talk about different perspectives on a topic and um, and that’s kind of what we see the library’s role is to facilitate those conversations so that, um, people can learn from each other and communities can grow. Price Kinsey: Thank you. And if you don’t mind my asking, what was the topic in January? So that was just last month. Amy Ford: Yes, yes. It was controversial. It. And that was, um, that was issues and safety and justice. Um, so a, you policing tactics, how can, how can, um, police be safe? How can residents be safe, um, with, without encountering, you know, some of the bias that we read about in the news, what are ways that communities can work together so the to solve some of those issues. And so there’s a very good discussion around that now. Price Kinsey: Definitely, definitely a lot about that in the media as well. 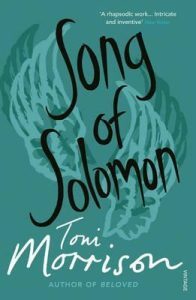 Are you familiar with the removal of Song of Solomon by Toni Morrison in the area? Amy Ford: Not particularly. I know that in the nineties it was, um, a topic, um, I think for the, for the public schools, but um, but they, they have, uh, you know, a separate process from us as separate, you know, mission than, than, than say the public libraries do. Uh, so I really couldn’t, couldn’t comment on that unfortunately. Price Kinsey: No, that’s quite all right. Thank you. Do you know if any teachers are using song of Solomon now? Amy Ford: I do not know, um, that, that’s one that we carry here at the, at the public library, but for teachers, for the public schools, you know, their, their decision is, it’s up to them to include that in their curriculum or not. But that is one that we carry. Price Kinsey: Excellent. Thank you. Drexel: I had one more question that’s not on there. So I was watching a video that someone posted on reddit which was from the St Mary’s county like forum in general. I’m not exactly sure what the format was, but they were talking about a banned book display that you guys had up here. Can you tell us a little bit about your experience with like the community being upset about it and how things were handled? Amy Ford: Oh, sure. Well, as so that’s been banned books display is, it is a traditional outlet libraries to bring up these kinds of conversations about, about censorship, about amendment freedoms to read. Um, those, those first amendment freedoms have been affirmed over and over again in the courts. And, um, and so that, so libraries, you know, we celebrate that First Amendment, um, and how we are able to meet the needs of many people who, uh, you know, including people who might not see eye-to-eye. Um, and so, uh, so that particular, um, incidents was again, you know, bringing up kind of a conversation in our community about what is, what are the kinds of, what are the kinds of materials that, um, we should have available for, uh, for young people, for grown-ups as well. And um, in particular about that, um, we just um, go kind of along with the theme of the American Library Association with banned books and so we draw from some of their resource lists of things that have been challenged in schools or libraries across the country. And um, when we found actually was that it started a lot of conversations between customers, between parents and kids about, you know, what, what is some, what is something appropriate to read? What is something that is, um, you know, OK, for, you know, to have the library or, or at our house or what are the, what are First Amendment freedoms that are, um, that are, that are guaranteed by our constitution. And so, um, we just witnessed lots of conversations between people, um, here at the library about that. Um, so we’re glad to have families talking together about, you know, what our, what our freedoms, where should wear, can freedoms be. I’m restricted on what, what does reading good for, what are, what are things that our family wants to read and discuss. And, and um, in that way it’s a really terrific opportunity for people to talk together about books. And that’s, that’s exactly what we want to do is have people get together, talk and create a community around books. Drexel: And the last question I had on that was, um, a lot of the times when books get censored, there’s something going on historically at the time or like a certain kind of climate that generated as a librarian. Have you noticed any like correlations between that? Like something happens politically and then people started censoring certain types of books. Amy Ford: Um, it’s sometimes, sometimes it does, um, and it can, it can kind of go a young multiple directions. Um, in fact, um, I mean there are, um, I, I, you know, I read, I read, you know, around the, around the country, you know, not just not just here as a microcosm, but I’m in libraries across the United States. Um, um, items are challenged in different ways. You, you’ll, you’ll see the Bible being challenged as included in some, in some communities, uh, for advocating a particular viewpoint. You’ll see other materials that are about, um, Lgbtq, um, characters or, um, issues that pertain to Lgbtq individuals or um, uh, things that are not politically correct for one group or another. And so there’s, those are across the country, uh, and they, they do tend to follow after um either political or news kinds of appeals. But again, it’s an opportunity for community to get together and talk about, well, we, you know, we’ve, we’ve seen that, we’ve, we’ve, we’ve had this discussion about a particular issue. What are we, what are we going to do about it and what kind of viewpoints can we bring together from this? Either questions that you have. Price Kinsey: No, but the question before that you had brought up, um, you know, we’ve continually talked about diversity. 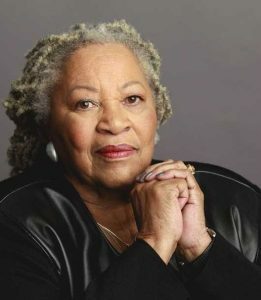 How do you feel representation in books? Um, do you feel that it’s really important for younger people to have like a role model or Lgbtq people to have like a role model in literature, Somebody that they can see themselves in? Amy Ford: uh, books are again, a great way to expose yourself to diverse viewpoints as well. So, you know, books are we talking about books sometimes as a window where you can see out to other experiences but also a mirror so that you can see some of your experiences reflected back, you know, back to you and have, you know, have feel that affirmation of someone who’s lived through some of the things that I’ve lived through. And um, again, because we serve such a diverse community. We have people who are Lgbtq, we have people who are from communities of color. And so we really want to make sure that our books are collections reflect all of the different points in our community. Um, so we, we, you know, we gather things on many different kinds of religions, um, many different kinds of political viewpoints and we want to make sure that people have the information that they need in order to carefully consider things and to both have that window out on the world, but also that mirror that reflects, you know, their own inner reality. Drexel: Do you have any last comments about censorship? Like anything you want to like put out there to the world? Amy Ford: Well, we, you know, we are against censoring, you know, and removing things from a library collection because, you know, we’re here to serve, um, you know, informational and recreational needs. Um, and we cannot do that if we don’t have a wide, a wide variety of things. At the same time, we’re, we’re glad that people are interested in libraries, are interested in learning more about what libraries do and why we do it. Um, and um, the more people who know about First Amendment freedoms and the kinds of ways that you can educate yourself with a library that, that isn’t, that is a good thing. This is a COPLACDigital course project presented by students from St. Mary's College of Maryland.